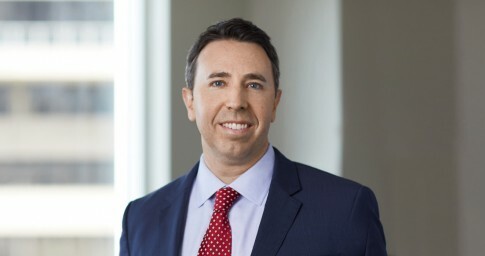 Brian Boyle is a trial lawyer with vast experience in complex commercial litigation and energy industry disputes. Brian's commercial litigation practice is primarily focused on clients within the energy sector. In addition to handling energy litigation across all phases of the industry, Brian frequently handles construction disputes, trade secret and noncompete claims, and other high-stakes business disputes. In doing so, he represents both plaintiffs and defendants in state and federal courts and arbitrations across the country. As part of his oil and gas litigation practice, Brian handles complex contract claims related to all aspects of energy-related agreements. His cases often involve drilling and development disputes; royalty litigation; JOA disputes; AMI agreements; preferential rights and right of first refusal provisions; force majeure claims; take-or-pay provisions and minimum volume commitments; supply and trading disputes; and fraud and other business tort claims related to upstream and midstream assets and operations. Brian also frequently handles environmental contamination and indemnification claims related to oil and gas production and transportation. Along with his energy-specific cases, Brian routinely represents clients involved in significant construction disputes. As part of his construction practice, Brian handles claims arising from defects, delays, design issues, change orders, cost overruns, suspension and wrongful termination. His construction cases arise from various types of projects, including office buildings, retail developments, and industrial ventures such as petrochemical plants, pipelines, and oil-and-gas terminals and processing plants. Brian also handles trade secret and unfair competition claims for clients in many different industries. As part of that practice, he frequently litigates claims for both injunctive relief and damages arising from trade secret misappropriation and breaches of noncompetition covenants and related agreements. In addition to representing businesses in commercial disputes, Brian tried nearly 20 cases to verdict for the city of Houston. Before starting his trial practice, he served as a briefing intern for former Chief Justice Thomas R. Phillips of the Supreme Court of Texas. A native Texan, Brian was born and raised in San Antonio. Prior to joining Lightfoot, he was a partner at Norton Rose Fulbright in Houston. Representing an international energy company in a crude oil supply and trading lawsuit alleging that the client breached a crude supply agreement by failing to supply agreed-upon volumes to a crude-by-rail facility and by failing to pay alleged take-or-pay fees, resulting in the trial court’s summary judgment in favor of the client. Representing non-creditor parties in a bankruptcy trial to estimate claims for fraudulent transfer and tortious interference related to intercompany transfers among affiliated power companies with power plants subject to leveraged lease restrictions. Representing a nuclear and radioactive waste disposal company in trade secret misappropriation and tortious interference lawsuits. Representing an owner and general contractor in defending against a construction subcontractor’s claims related to the expansion of a petrochemical plant, including claims for wrongful termination and suspension damages. Representing a business owner in a lawsuit involving breach of contract and breach of fiduciary duty claims against the partner in a petroleum marketing and fuel supply business. Representing a subcontractor in defending against construction defect claims brought by a general contractor in connection with the construction of a large retail center. Representing an oil and gas company in litigation involving breach of contract, environmental indemnification, fraud and negligent misrepresentation claims related to its sale of oil and gas assets and the environmental condition of the properties. Representing a subcontractor in defending against construction defect claims brought by the building owner and general contractor in connection with the construction of an office and retail building in a mixed-use development. Representing an exploration and production company in arbitration involving post-closing purchase price adjustments and joint interest billing disputes arising from a stock purchase transaction and assignment of oil and gas interests in the Eagle Ford Shale. Representing an independent exploration and production company in defending against claims that it contaminated groundwater and domestic water supplies as a result of its operations in the Marcellus Shale. Representing an independent producer in a lawsuit to prevent the surface owner’s interference with the operator’s right to drill and service oil and gas wells. Representing an exploration and production company in a lawsuit arising from the financing of its acquisition of oil and gas interests and claims of breach of contract and fraudulent conveyance related to a lender’s alleged net profits interest and overriding royalty interest. Representing a chemical treatment company in a dispute involving title issues and easements in connection with the sale of a joint interest in a refinery. Representing a lender in a dispute related to the financing of a non-operator’s interests in assets subject to joint operating and joint development agreements. Representing a global real estate investment company in connection with breach of contract and fraud claims arising from the development and construction of logistics and distribution facilities servicing petrochemical plants, resulting in a favorable settlement following the trial court’s summary judgment in favor of the client. Representing an international energy company in a lawsuit arising from its acquisition of oil and gas properties in Texas and Louisiana, including breach of contract, fraud and conversion claims, and the allocation of environmental liabilities, which resulted in an early settlement upon favorable commercial terms. Representing an international oilfield services company in a cross-border dispute with a drilling subcontractor arising from an oil and gas development project in Mexico, resulting in the dismissal of all claims against the client on jurisdictional grounds following a three-day evidentiary hearing. Representing an oilfield services company in an arbitration involving breach of noncompete and confidentiality obligations, and trade secret misappropriation by a former officer and owner of the company, resulting in a seven-figure arbitration award in favor of the client following a seven-day evidentiary hearing. Representing an oilfield services and engineering company defending against claims for defects and delays, and seeking payment for services rendered in connection with a pipeline construction project. A unanimous jury verdict awarded the full amount of damages to the client following a two-week trial. Representing an international energy company in a Clean Water Act lawsuit brought by the United States in connection with release of oil to waterways from storage tanks at the client’s refinery, which, following a two-week trial, resulted in a penalty of less than five percent of the amount sought by the government. Representing an international energy company in fraud and breach of fiduciary duty lawsuits against former company executives and third parties who allegedly facilitated the executives’ fraud and self-dealing in connection with a Latin America power project and related U.S. transaction. Favorable settlements were obtained in both state and federal court litigation. Representing the working interest owner and operator in a lawsuit against the former operator of a South American oil and gas property, resulting in a favorable settlement after taking over the case following years of prior litigation. Representing an international energy company in a breach of contract lawsuit related to crude oil buy-sell agreements and the application of force majeure and termination provisions, which resulted in a favorable settlement shortly before trial. Representing the working interest owners in a lawsuit against the operator of a Wyoming oil and gas field, resulting in a favorable business resolution of the dispute. Representing a global energy company in a trial involving environmental indemnity claims related to a stock purchase transaction. Representing an energy trading company in breach of contract and injunctive relief claims related to the sale of electric power and scheduling coordinator services, resulting in an early settlement after pursuing the claims on an expedited schedule. Author, “The Oregon Death with Dignity Act: A Successful Model or a Legal Anomaly Vulnerable to Attack?,” Houston Law Review, (2003) – Awarded Shook, Hardy, Bacon LLP Award for "Best Comment Written for the Houston Law Review."